News Photo by Jonny Zawacki Alpena’s Anna Young (23) goes up for a shot while being defended by Cheboygan’s McKenna Benson (22) during the second quarter of a girls basketball game on Tuesday at Alpena High School. The Alpena High girls basketball team suffered a frustrating loss at Cheboygan early in the season losing a stunner by one on a buzzer-beater. On Tuesday, the Wildcats (6-6) had a chance to avenge that frustrating loss and that’s exactly what they did as they came away with a 54-42 home win after what has been an odd week with little practice due to the school cancellations. Alpena’s level of play was strong early as the Wildcats jumped out a 10-0 lead in the game’s first two and a half minutes and forced a Cheboygan timeout. The Chiefs (1-12) were able to regroup and responded in a big way by scoring 11 of the last 12 points in the quarter to tie the game 11-11. Cheboygan took its first and only lead of the night when Shelby Woiderski stole a pass and scored a breakaway layup to give the Chiefs a 13-11 advantage early in the second quarter. Alpena answered with five straight to regain the lead, including a three from Jade Schultz and the Wildcats went on a 10-2 run to take a six-point lead midway through the quarter. Both teams went back and forth in the final minutes of the half, but the Wildcats held a 29-26 lead at the break. The third quarter proved to be the difference as Alpena came out of locker room and executed its game plan of attacking and converting. The Wildcats closed the quarter by scoring the final eight points to take a 44-32 lead after three quarters. 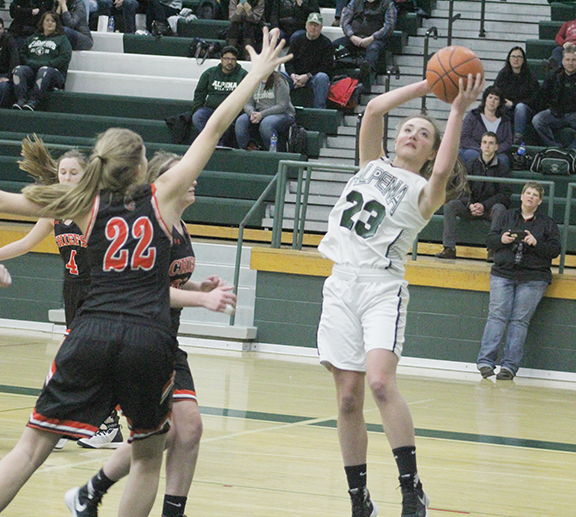 Alpena’s plan of attacking and going after Buhr worked as she fouled out with 2:02 left in the third quarter and Alpena was able to take advantage without Buhr’s presence on the court as they held on for a double-digit victory. Abbie Funk led the Wildcats with 13 points in the win. Maddie Voltz finished with 10 points, Schultz and Mollie Girard added seven points and Allie Funk chipped in with six points. Despite fouling out late in the third quarter, Buhr led the Chiefs with 12 points. Gracie Lindgren collected seven points and Angie Swiderek scored six points. 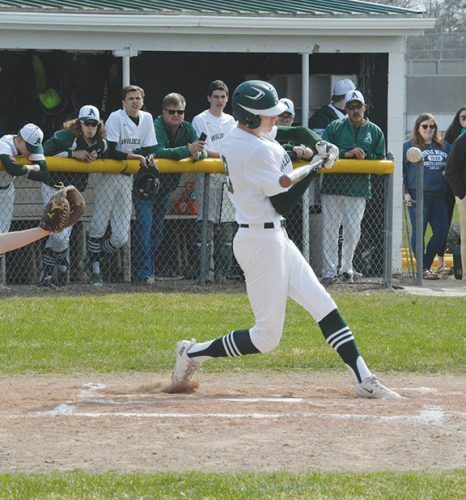 Alpena will be back in action Thursday when they travel to Traverse City to take on TC West. The Alpena JV team came away with a 41-36 victory over Cheboygan. The Wildcats were led by Elyse Clark who scored 11 points, Alayna Trelfa finished with 10 points and Kameron Schultz added eight points. 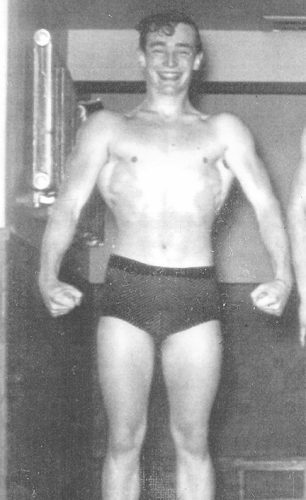 ALPENA (54): M. Girard, 2 2-2 7; M. Dickinson, 1 0-0 2; A. Johnson, 1 1-3 3; J. Schultz, 2 2-4 7; M. Voltz, 4 2-2 10; Abbie Funk, 3 4-6 13; Allie Funk, 2 2-4 6; A. Young, 1 0-0 2; J. Leeck, 2 0-1 4. 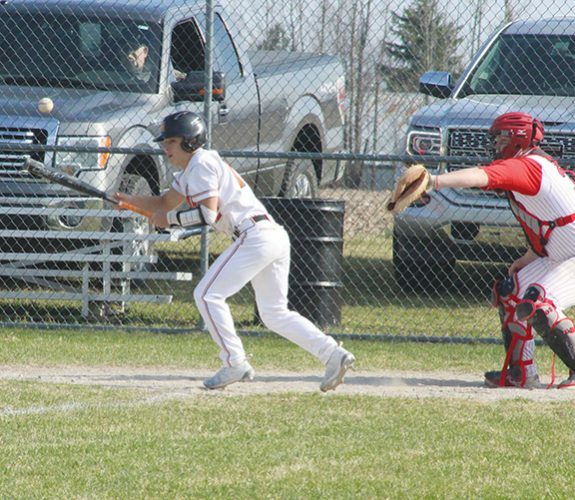 CHEBOYGAN (42): K. Burt, 2 0-0 4; A. Swiderek, 2 1-2 6; M. Benson, 2 1-2 5; G. Lindgren, 1 5-5 7; S. Woiderski, 2 1-4 5; I. Buhr, 6 0-2 12; K. McNeight, 1 0-0 2.